It's that time again. 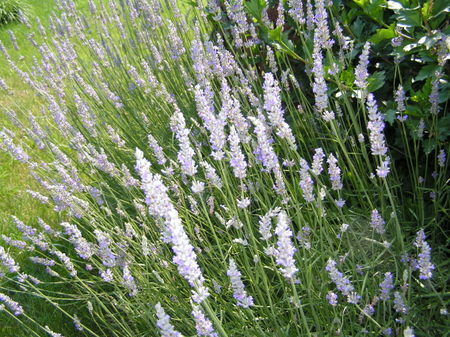 All of my lavender plants are bursting with beautiful, long, fragrant stems. I went out and clipped each one, and the house smells fresh and clean with their scent. The picture above shows the Hidcote variety and the one below is Provence. The Hidcote is a little more vibrant purple, but both smell amazing. George said, "What's that rotten smell in here?" I bit my tongue, then replied, "Are you talking about the huge vase of freshly-picked lavender that you're sitting next to?" "Oh, yeah. I think it's rotten." "It's not rotten, Honey. That how it's supposed to smell." "Well, it doesn't smell very good." "What are you talking about? It's smells wonderful!" Same story in our house! I love it and hubby can't stand it. Oh how lovely! I love anything lavender; it's beautiful color and of course its fragrance. I only wish I could grow that here in the dessert! I have to agree with George. I think lavender is beautiful to look at but can't stand the smell. Thanks for sharing the pictures though! I've just brought some gorgeous lavender bubble bath from L'Occitane - I love the smell! One of my sons loves the smell of lavender. My other son and I can't stand it, especially in scented cleaning products. I wish it didn't make me sneeze... bummer. Men!!! Mine would have said the same thing! LOL Your lavendar looks wonderful and I can just imagine the fragrance!!! I am so jealous Andrea! I only get maybe 10 stems from my lavender plant! It's sad! I wish I had a field of lavender! Hubby does'nt like the smell either! I really think men don't like it, but what do they know about it? 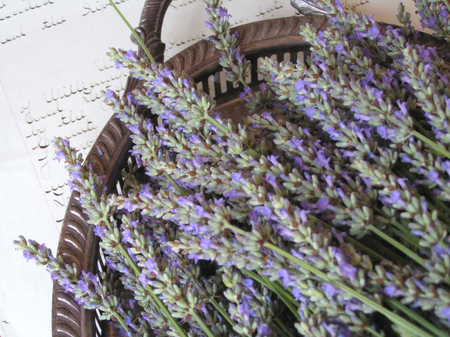 I love lavender - especially a little sachet tucked into your pillow at night - if you have a king bed and sleep on both sides - tuck it into a decorative pillow in the middle! I lost most of my lavender this year and so am very envious of your harvest! My husband and I have the same conversation over paperwhites at Christmas-time (he's a George, too). Personally, I think women just have more refined olfactory systems! What beautiful lavender. They look so huge! Do you have any gardening tips for them? I think I might have a spot for them along the house but am hesitant to place them there as I think they might need direct sun from all directions throughout the day. Is that true? I love it. Men & Women are just *wired* different from the very beginning. I know this because I have to boys and one girl. I have no idea why my boys grew up with tractors and dinosaurs in their hands and my daughter grew up wanting to be just like mommy--but they do and only God knows. Oh how I know that kind af conversations,-but realy they smells wonderfull -Ive got some in my garden as well,not many, but surounding a rose bed, they are of a wonderfull color and smells and looks good, fresh as well as dried. I use them dried in sachets made of old embroidery from old table cloths, and sells them in my little shop. Lol! that is so funny Andrea... and SO Typical.. I can just see that happening here too. Ha.... All you can say to that one is 'Duuude." Of course your right! A few years ago when my son left home he called one night to ask where he could get lavender water for his stem iron. My hubby's eyes got huge like a deer in the headlights. I calmly told my son he didn't really NEED lavender water it could be plain. But, TJMaxx sells it! He said OH,OK! He grew up with his clothes scented with lavender and he thought that's how everyone does it. My poor husband hadn't looked that scared since the time our son was in college and said he was going to take a class on poetry ha ha. Poor Dad dove under the covers saying "God lord it's about getting a JOB" Guys they have it rough ha ha. HAHAHA!! Sounds like something my dear sweet hubby said several weeks ago.....I had changed the sheets on our bed and sprayed some linen spray on the sheets and pillowcases.....Mr. Romantic said, "I think these sheets didn't dry and have gotten mildewed!" LOL! Don't you just love the sweet peas???? 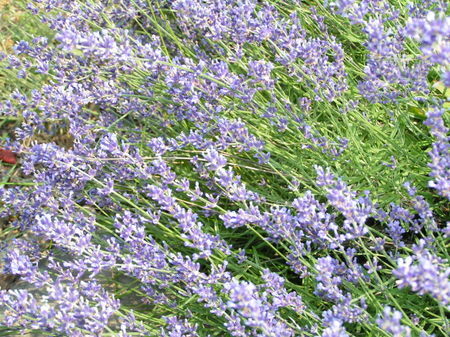 I love the smell of lavender and have a couple of plants growing....I plan to plant more next year. 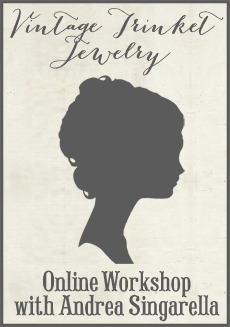 Yours look beautiful!